We can accommodate larger business with courses run on-site and for classes of 10 or over. 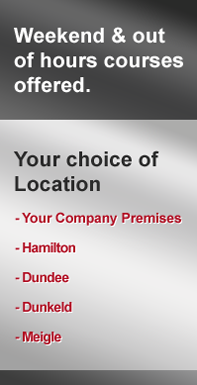 Allways Transport is an authorised provider of Driver CPC Training with training facilities at both their operating centres in Meigle and Hamilton. However, training can be organised at other locations or the customer’s premises if there is sufficient demand. All professional drivers are required to undertake 35 hours of training every five years to ensure that they hold a valid Driver CPC (Certificate of Professional Competence). Our training centres and courses are monitored and audited by JAUPT(Joint Approvals Unit for Periodic Training) who is the governing body appointed to oversee the statutory training process. Our courses are designed to ensure that drivers have a knowledge of the most recent up to date regulations(that are constantly changing) that are essential for their work. Specific emphasis is given to Road Safety, Secure Loading/Unloading, Environmental Safety, Fuel Efficiency, Health & Well Being. Courses are £65.00 + vat per day (7hrs training). 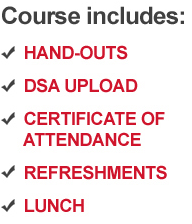 This includes the download fee to DSA (Driving Standards Agency) to register the candidate’s attendance. All candidates are given a certificate to confirm their attendance at the training course. Refreshments throughout the day and lunch are also included in the fee. Periodic Training is continuing professional development for bus,coach and lorry drivers. All drivers must undertake 35 hours of training in every five year period. 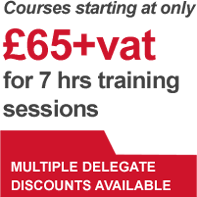 Only training centres approved by JAUPT are able to deliver Driver CPC training courses. JAUPT (Joint Approvals Unit for Periodic Training) is the authorised authority that monitors and approves all training courses and training centres. What subjects are covered by the training courses? Does the course involve sitting an exam at the end? No - There are no tests or exams involved, the driver only has to attend the course.